Michael Christoff is a shareholder with Memphis Title Company. Mike spent his formative years in Memphis, where he graduated from Christian Brothers High School in 1996. He obtained a B.A. in History from Tulane University in 2000 and a Juris Doctor from the Cecil C. Humphreys School of Law at the University of Memphis in 2003. Mike represents clients in both residential and commercial real estate transactions, as well as probate and corporate matters. He is a member of the West Tennessee Home Builders Association, Inc. and the Memphis Area Association of Realtors, having served on several committees, including the Professional Development Committee, the Fair Housing Committee, and the Scholarship Committee. Mike is also active in the community and serves on the Board of the Midtown Memphis Rotary Club. 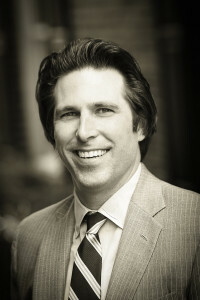 He is licensed to practice law in Tennessee, Mississippi, and the District of Columbia and is a member of the Tennessee, Mississippi, District of Columbia and Memphis Bar Associations.